Bonnie and Captain America. Bonnie and Captain America. Random but oh-so-right!. 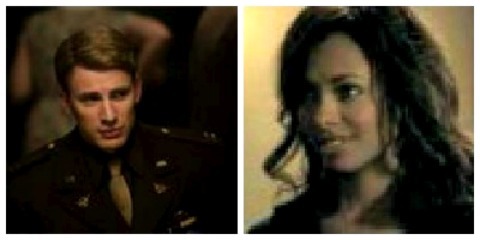 Wallpaper and background images in the Bonnie's Multi Shippings club tagged: bonnie bennett captain america. This Bonnie's Multi Shippings photo contains portrait, headshot, and closeup.